On Tuesday, S.L. 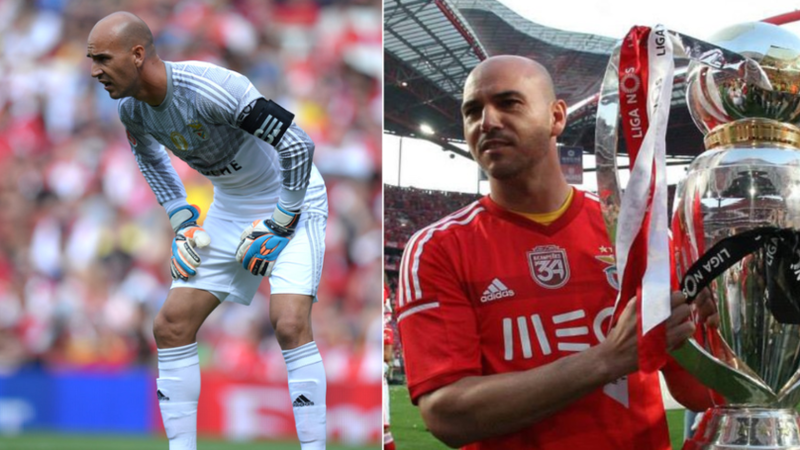 Benfica’s 40-year-old third choice goalkeeper Paulo Lopes announced his retirement from world football. The shot-stopper has managed to collect more trophies and winner’s medals than appearances during his time with Águias. Lopes re-joined Benfica in 2012 and has made 11 appearances across all competitions until his retirement, during that time he scooped up 12 trophies while largely sitting on the bench. The 40-year-old finished his youth career and began his senior career at the Portuguese club in the late 90s, early 2000s but could not break into the first team. After a season at Benfica B in 2001, he moved away from his boyhood club. He then spent time at several different Portuguese outfits before returning to see out his career. “This is one of the most difficult moments in a footballer’s life when his career comes to an end, but as in everything in life nothing is eternal,” he said. “I’ve been a 21-year-old football professional, a profession to which I gave myself heart and soul with the clear conscience that I did everything to honour the profession I embraced and dignified myself as a football professional,” reported A BOLA. Lopes will now take charge of coaching the goalkeepers for Benfica’s under-23s.